Twenty percent of ASCRS members who perform laser vision correction (LVC) do not have a standardized method to assess successful outcomes, according to results of the 2015 ASCRS Clinical Survey (Figure 1). When assessing successful outcomes, 43% consider patient satisfaction and 65% consider a visual acuity of 20/20 or better a successful outcome. In today’s clinical environment, however, 20/20 vision is only part of the equation. Patients have higher expectations that have to be met for them to feel satisfied with their outcome. 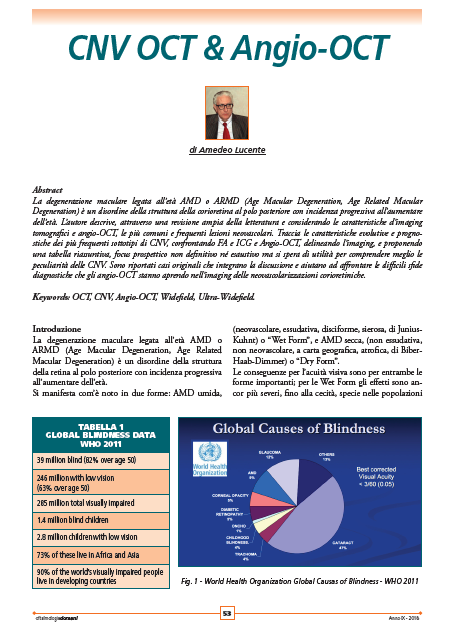 Epidemiologic studies estimate that the prevalence of dry eye disease (DED) is as much as 25% in the general population.1,2 Significantly associated with aging, DED occurs most frequently in those over the age of 45 years.3 It is more prevalent in women compared with men.4-6 Contributing factors to DED may be classified as ocular, medical, pharmaceutical, iatrogenic, environmental, and contact–lens-related. To identify corneal epithelial- and stromal-thickness distribution patterns in keratoconus using spectral-domain optical coherence tomography (SD-OCT). Patients and Methods: We analyzed SD-OCT findings in 20 confirmed cases of keratoconus (group 1) and in 20 healthy subjects with corneal astigmatism $2 D (group 2). Epithelial and stromal thicknesses were measured at 11 strategic locations along the steepest and flattest meridians, previously located by corneal topography. Vertical mirrored symmetry superimposition was used in the statistical analysis. Results: The mean maximum keratometry measurements in groups 1 and 2 were 47.962.9 D (range, 41.8–52.8) and 45.661.1 D (range, 42.3–47.5), respectively, with mean corneal cylinders of 3.362.2 D (range, 0.5–9.5) and 3.661.2 D (range, 2.0–6.4), respectively. The mean epithelial thickness along the steepest meridian in group 1 was the lowest (37.464.4 mm) at 1.2 mm inferotemporally and the highest (59.364.4 mm) at 1.4 mm supranasally from the corneal vertex. There was only a small deviation in thickness along the steepest meridian in group 2, as well as along the flattest meridians in both groups. The stromal thickness distribution in the two groups was similar to the epithelial, while the stromal thickness was generally lower in group 1 than in group 2. Conclusions: SD-OCT provides details about the distribution of corneal epithelial and stromal thicknesses. The epithelium and stroma in keratoconic eyes were thinner inferotemporally and thicker supranasally compared with control eyes. The distribution pattern was more distinct in epithelium than in stroma. This finding may help improve the early diagnosis of keratoconus. and (3) the value of intrastromal corneal ring segments. I had the privilege and rather challenging job of chairing the section on establishing criteria for measuring the progression of keratoconus. I say challenging because, as you will see from the articles in this bonus feature—particularly those by A. John Kanellopoulos, MD, and Michael Belin, MD—there are considerable differences in opinion on this subject. Although there is general agreement about what should be considered progression, it is clear that more scientific study is required when it comes to measuring subtle progression. There are a number of variables at play, and each one is unique, with its own characteristics. Even data analysis using averages is fraught with problems, unless one has the luxury of access to 100% data in all eyes at all timeframes with similar criteria, including cessation of contact lens wear prior to evaluation. As Dr. Belin points out, most patients with keratoconus are dependent on hard contact lenses, and, as these lenses definitely affect anterior corneal shape, basing decisions mainly on anterior parameters carries risk of potential error. Requesting that patients with keratoconus keep their lenses out for 1 month in order to evaluate them properly is idealistic and probably overkill. Often, when there is considerable controversy, simple approaches are best. Dr. Belin’s approach is quite attractive: Corneal thickness and posterior elevation may be the best criteria to use, perhaps with the addition of corneal volumetric change. We may also need an alternative approach altogether, using a different method of diagrammatic presentation; Damien Gatinel, MD, has used a clever method in his Score software (Bausch + Lomb Technolas), which employs multiple variables to evaluate the risk of keratoconus in corneas prior to elective ablative refractive surgery. Getting back to basics, evaluating markers for keratconus is likely the ultimate tool, and Jesús Merayo, MD, PhD, reports on some of his work in this area, which looks interesting and promising. We hope you enjoy these articles, and we expect that you have your own individual opinions. Please do not hesitate to contact us—we would love to have the opportunity to publish your views. La reumatologia è un ambito complesso ove non sono utili esami di screening. 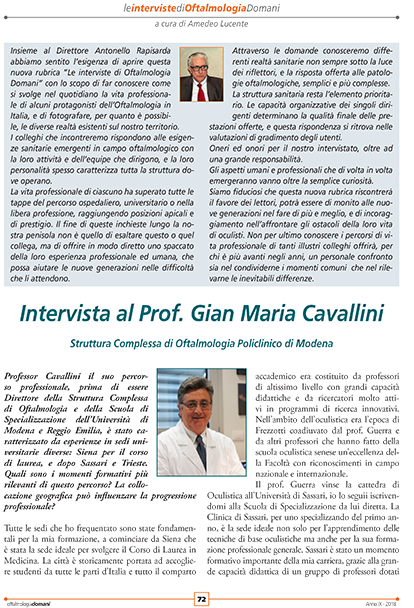 I quadri di presentazione possono essere molteplici all’interno della stessa patologia, alcuni quadri iniziali possono essere comuni a patologie diverse; di conseguenza l’inquadramento nosologico e la diagnosi differenziale sono complessi e richiedono l’utilizzo di esami di laboratorio il cui risultato deve essere interpretato alla luce del sospetto clinico e del quadro sindromico generale. Va tenuto conto che una patologia reumatica evolve nel tempo creando problemi sempre nuovi e diversi sia al paziente che al medico curante e d’altra parte alcune delle patologie reumatiche più comuni come l’osteoartrosi, l’artrite reumatoide, l’artrite psoriasica ed il reumatismo fibromialgico possono essere sospettate senza test di laboratorio. Per contro, richiedere esami di laboratorio dovrebbe essere finalizzato a confermare o escludere una potenziale patologia reumatica ipotizzata alla visita clinica. 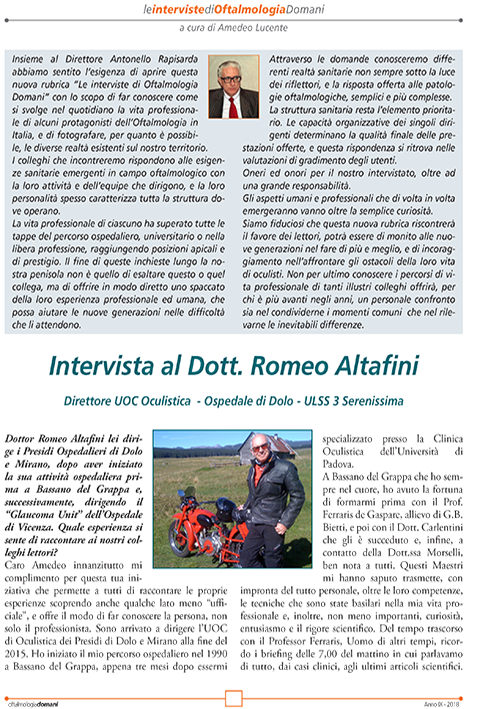 Premesso ciò, il documento avrebbe l’intento di proporre l’utilizzo di alcuni esami di laboratorio utili all’inquadramento diagnostico e al monitoraggio della patologia in esame, tenendo conto della necessità di ottimizzare le risorse in una logica di appropriatezza prescrittiva. Si insiste sull’assunto che non si intende fornire schemi di valore assoluto ma indicazioni di massima applicabili con competenza clinica nei quadri di presentazione comune, fermo restando che nelle situazioni complesse, atipiche e inusuali il ragionamento clinico deve portare a cercare soluzioni appropriate al caso in oggetto. 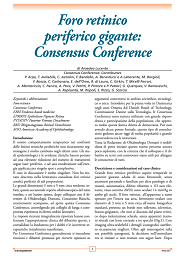 Considerando che il passaggio logico dai sintomi di presentazione all’ipotesi diagnostica si basa sull’anamnesi accurata, sull’esame obiettivo mirato e sull’inquadramento generale del sintomo nel quadro generale del paziente, la responsabilità del percorso diagnostico iniziale è chiaramente di competenza del Medico di Medicina Generale. Abstract: Adaptive optics scanning laser ophthalmoscopy (AO-SLO) has recently been used to achieve exquisite subcellular resolution imaging of the mouse retina. Wavefront sensing-based AO typically restricts the field of view to a few degrees of visual angle. As a consequence the relationship between AO-SLO data and larger scale retinal structures and cellular patterns can be difficult to assess. The retinal vasculature affords a largescale 3D map on which cells and structures can be located during in vivo imaging. Phase-variance OCT (pv-OCT) can efficiently image the vasculature with near-infrared light in a label-free manner, allowing 3D vascular reconstruction with high precision. We combined widefield pvOCT and SLO imaging with AO-SLO reflection and fluorescence imaging to localize two types of fluorescent cells within the retinal layers: GFPexpressing microglia, the resident macrophages of the retina, and GFPexpressing cone photoreceptor cells. We describe in detail a reflective afocal AO-SLO retinal imaging system designed for high resolution retinal imaging in mice. The optical performance of this instrument is compared to other state-of-the-art AO-based mouse retinal imaging systems. The spatial and temporal resolution of the new AO instrumentation was characterized with angiography of retinal capillaries, including blood-flow velocity analysis. Depth-resolved AO-SLO fluorescent images of microglia and cone photoreceptors are visualized in parallel with 469 nm and 663 nm reflectance images of the microvasculature and other structures. Additional applications of the new instrumentation are discussed. Glaucoma can be characterized as a slowly progressing optic neuropathy that damages the retinal ganglion cells (RGCs) and their axons. This damage causes thinning of the retinal nerve fiber layer (RNFL), leads to cupping of the optic nerve head (ONH), and usually results in observable visual field loss. Because glaucomatous damage is irreversible, early detection is crucial for effective treatment through medical or surgical methods to halt further progression and preserve functional vision. Studies have shown that up to half of the RGCs could be damaged before defects are reported on the visual field.1 A more resolute, objective method of identifying glaucoma is therefore needed for at-risk patients. Abstract: We compare four optical coherence tomography techniques for noninvasive visualization of microcapillary network in the human retina and murine cortex. We perform phantom studies to investigate contrast-tonoise ratio for angiographic images obtained with each of the algorithm. 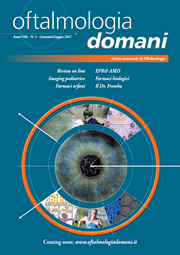 We show that the computationally simplest absolute intensity difference angiographic OCT algorithm that bases only on two cross-sectional intensity images may be successfully used in clinical study of healthy eyes and eyes with diabetic maculopathy and branch retinal vein occlusion. ©2015 Optical Society of America OCIS codes: (110.4500) Optical coherence tomography; (170.4470) Ophthalmology; (170.3880) Medical and biological imaging; (280.2490) Flow diagnostics. What do the recent technological advancements for femto cataract surgery mean?